Miracles do happen, and Ashley Hallford is living proof of that. Ashley’s life was perfect. She and her husband David had found their way back to each other in college after they had been elementary school sweethearts. The two were expecting their first child when things started going down hill. The two were expecting their first child when things started going down hill. Ashley noticed a lump on the back of her neck when she was about one month into her pregnancy. It was originally diagnosed as a salivary gland infection and appeared to be getting better. However, at 32 weeks into her pregnancy, doctors found that the “infection” wasn’t getting better and the lump was actually getting bigger. Ashley’s instincts kicked in and she asked for a biopsy. 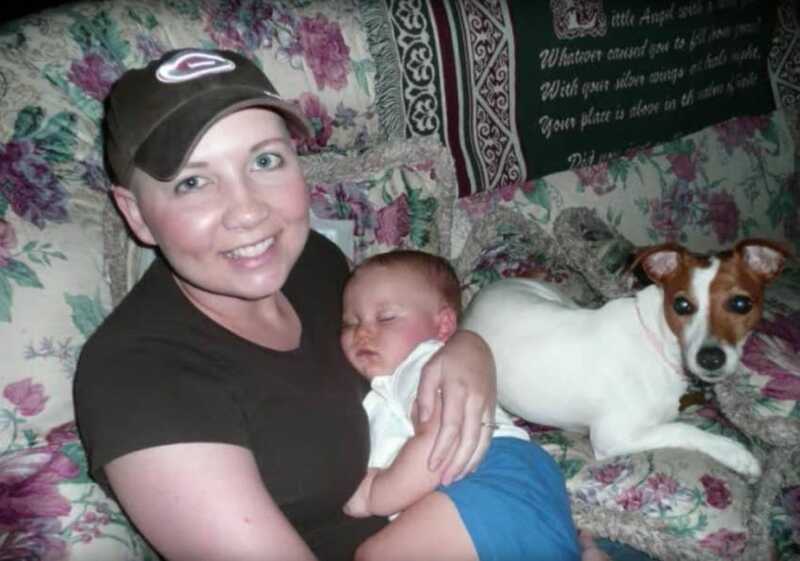 It was determined that she had a rare and aggressive form of Stage 4 cancer. 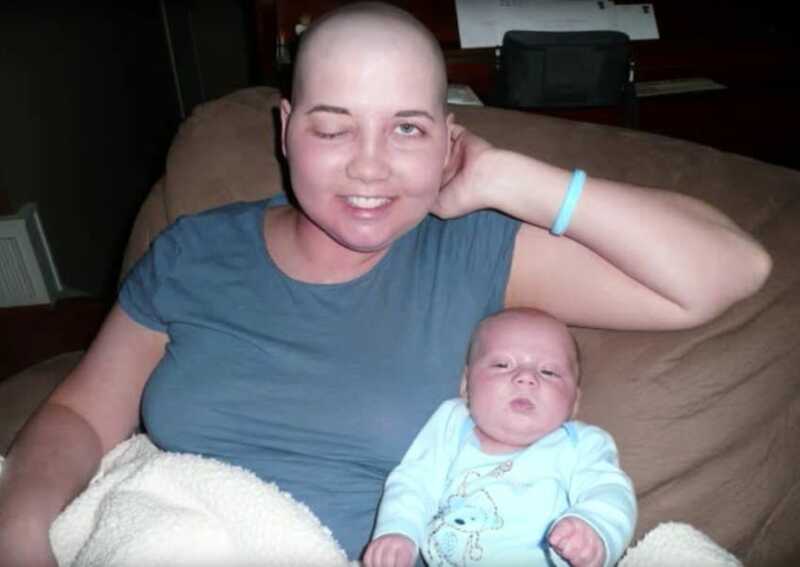 Since she was pregnant, chemotherapy and surgery weren’t an option. 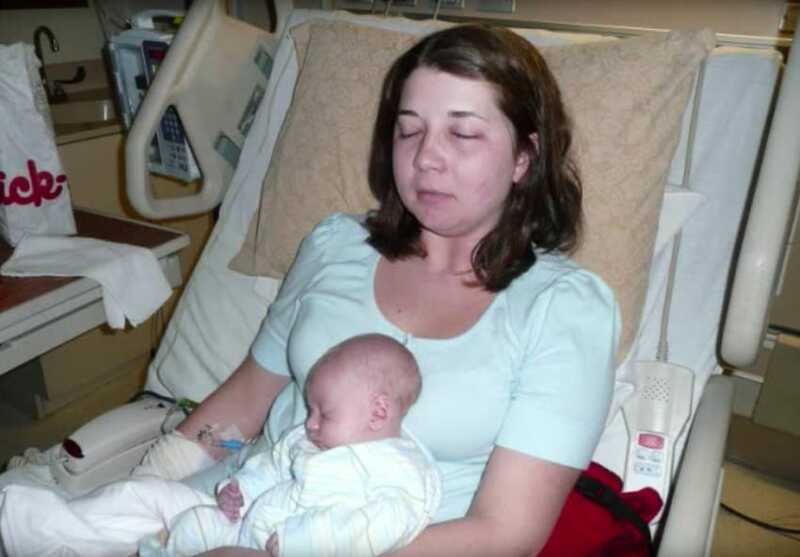 Because of the emergency situation, she was induced into labor at 33 weeks. 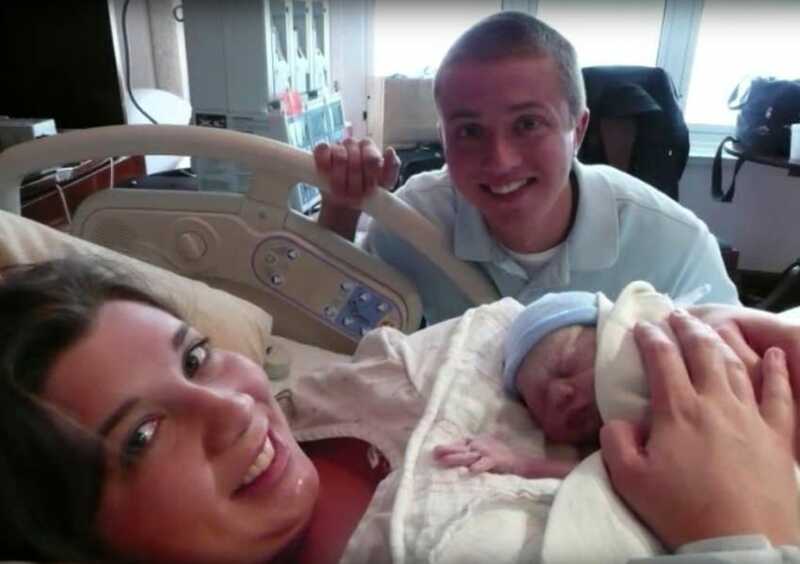 Though her son Harley was born early, he was perfectly healthy and sent home from the hospital two days after his birth. That’s when Ashley began treatment. It started with surgery to remove her softball-sized tumor in her neck. The tumor had spread to her jaw and large sections of her muscle had to be removed. Five weeks after the surgery, doctors found out that the cancer had spread further. 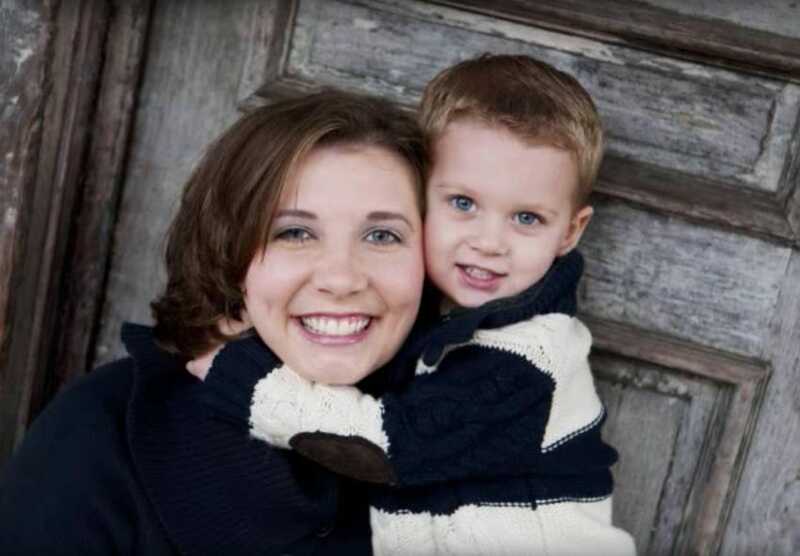 Doctors told her that she now had cancer in her brain, liver, and both of her lungs. 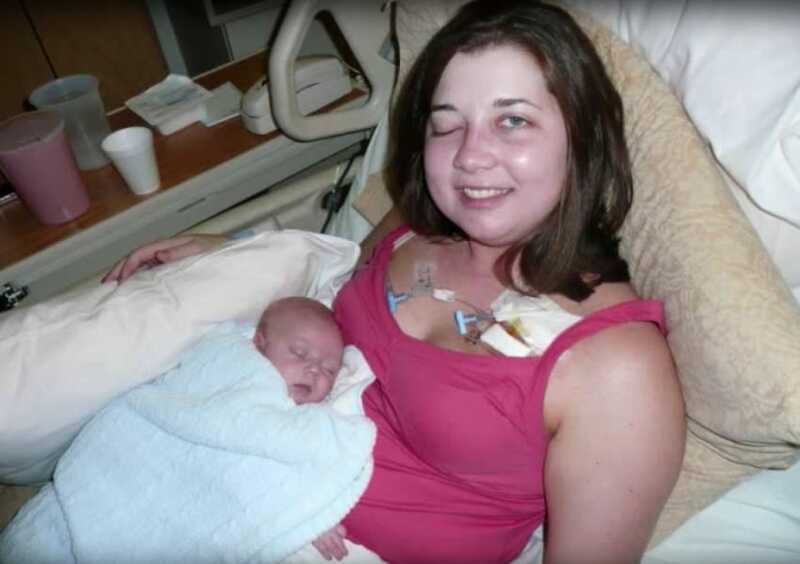 The tumor in her brain had grown on her optic nerve, which shut down her right eye. She was put on high doses of chemotherapy and had radiation treatment to help stop the cancer from spreading. “At that point, they stopped trying to figure out what it was, saying, ‘We need to start treating her, or she’s gonna die,'” Ashley told 11Alive. Ashley had innumerable tumors and began preparing for the worse. She started to take lots of photos and videos that could be shared with her son as he grew up so he could remember her. She turned to God to help her through this trying time. Her entire Christian church was praying for a miracle for her. It wasn’t long before the miracle arrived. 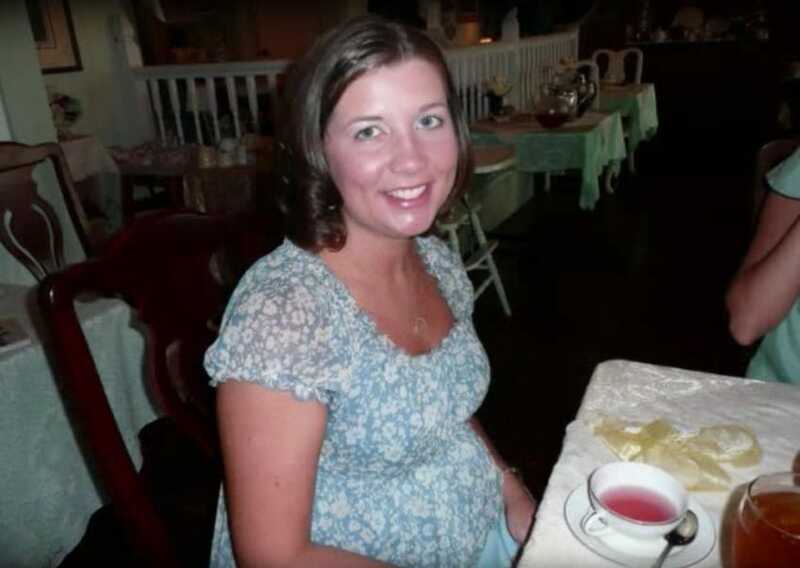 She had gone for what she thought would be her last terminal scan before her death and doctors discovered something that completed shocked them. 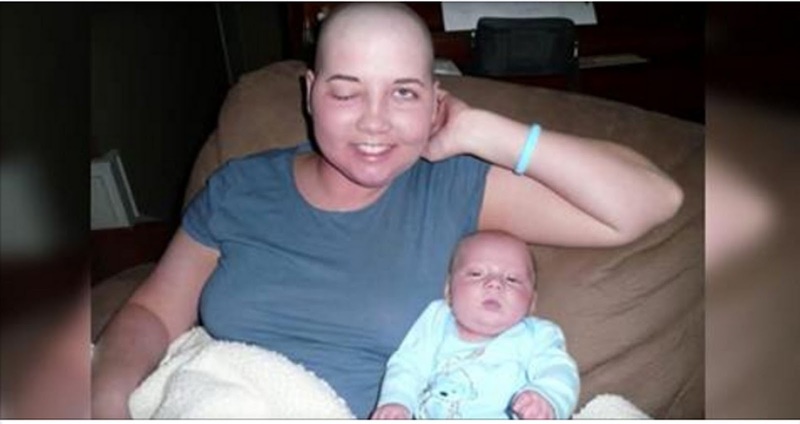 They told her that her cancer had completely disappeared. “I never thought you would have made it,” her oncologist, Dr. Debra Miller, told her. Ashley has been in remission for nine years. Little did she know that this would be the first of three miracles she would receive. Ashley was told that she wouldn’t be able to conceive because of all of her radiation treatments, however, she got pregnant with her second child two years later. After that, they said she would definitely not be able to have a child. Even though she was thought to be in full-blown menopause after her surgery, she ended up giving birth to a third child. Ashley says that God’s love and healing, as well as her amazing medical staff, are responsible for these miracles. She tells her story in the YouTube video below to give faith to others that one must be hopeful even in the darkest times.